‘Dublin-based social news agency Storyful has been acquired by global media giant News Corp for €18 million. Storyful was set up by former RTÉ journalist Mark Little who made the announcement today on the company’s website blog. This story in today's Irish Times filled me with seasonal good cheer. 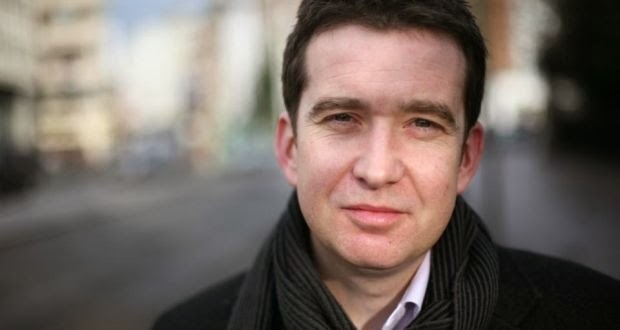 Former RTE journalist Mark Little has been bought by Rupert Murdoch. It was written in the book of Genesis that it would be thus. Little Mark, as I prefer to call him, was always going to end up being bought by someone. And how delicious that it's Rupert. I last spoke to Little Mark in March, 1988. We were both trying to get the barman's attention at a social during that year's Labour Youth National Conference. Little Mark, then a member of Trinity College Labour Youth, was wearing a memorable t-shirt with a large picture of Mikhail Gorbachev on it. 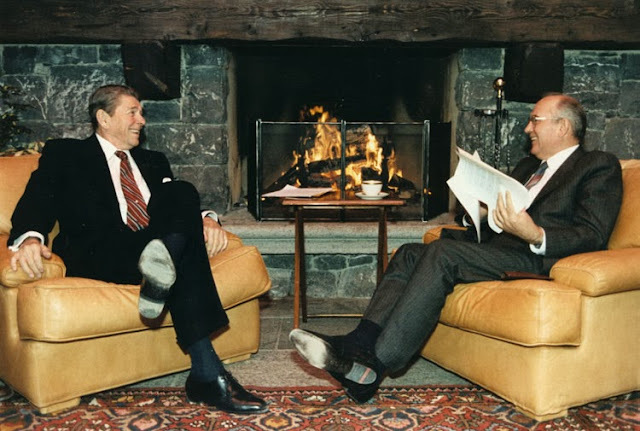 Gorbachev is the one on the right. Between 1981 and 1988 Labour Youth was run by the Militant Tendency, of which I was a member. Militant were Trotskyists. Little Mark was part of a faction called 'New Direction', whom I always preferred to call New Erection, though that makes them sound far more exciting than they actually were. Other members of said faction included Joanna Tuffy, Labour T.D. for Dublin Mid West and former Deputy Mayor of Kilkenny, Sean Ó'Hargáin. It was a group designed to turn Labour Youth into a place where former Deputy Mayors could be born, without being scared away by Trotskyists. The group was in part bankrolled by Emmett Stagg, now assistant Government Chief Whip and, even his friends agree, a monumental political failure. Emmett liked a bit of Stalinism. You'd never hear him condemning the Soviet invasion of Czechoslovakia, or the suppression of trade unions in Poland, or any Trot crap liked that. It is rumoured that, in his youth, Emmett wore a pair of Leonid Brezhnev y-fronts, though there has never been any independent verification of this. To pleasure the pro-Soviet Stagg, and thank him for part funding their campaign to rid Labour Youth of the Trotskyist menace, several members of the New Erection faction wore white t-shirts with big stupid pictures of Mikhail Gorbachev on them. That would show those Trot bastards. On that long lost Friday night, as we jostled for the barman's attention, Little Mark said to me words to the effect that "we need to keep the slate broad and inclusive." As he said these words I glanced down at his Gorbachev t-shirt. Little Mark thought I was on his side. Which I was only in the sense that Margaret Thatcher was on the side of the miners, or Himmler on the side of the Jews. Little Mark wore that same Mikhail Gorbachev t-shirt all weekend long. It's rumoured he doesn't sweat, so hygeine would not have been a worry in the way that it would for most people. These days, Little Mark doesn't wear Gorbachev t-shirts - at least not in public - and his accent no longer has that hint of Fair City, which he used to put on to stiffen the Dublin South. He was always going to be bought by someone. 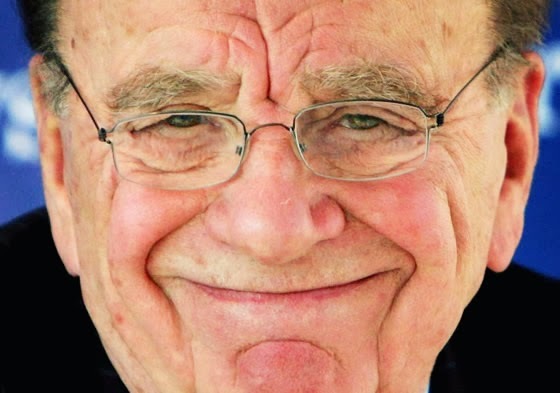 That it should be Rupert Murdoch is just, well delicious. Little Mark will make a cool €5 million personally from the deal. Below is a picture of murdered British school girl Milly Dowler who shares one thing in common with Little Mark: the people at News Corporation also had her phone number. My poem 'The Political Divide', which appeared in issue 2 of Skylight 47 poetry newspaper, is about the divide between the Little Marks of this world and gurriers like me. the back of the bike shed. so they didn’t have to go..."
The full poem is available in Skylight 47 magazine which can can be purchased here.